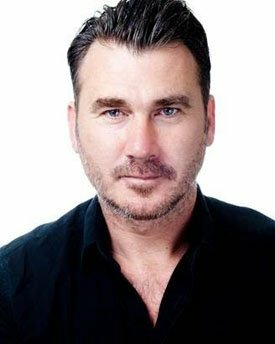 On announcing he was to bring to an end his role as practice manager Howard Bellamy in BBC One’s Doctors, there was immediate speculation as to what would be next for IAN KELSEY, who, having hardly been off our screens for over two decades, has become one of TV’s best loved and most prolific leading men. Ian leaves his starring role in a closely guarded story line this November to play Andy Dufresne, a banker who having been handed a double life sentence for the brutal murder of his wife and her lover, finds himself incarcerated in the notorious Shawshank penitentiary. Ian’s other major TV roles have included four years in BBC One’s Casualty playing Patrick Spiller, three years as Dave Glover in Emmerdale, two years as Matt Brewer in Down To Earth, six years as DI Richard Mayne in Blue Murder and in the final series of Where The Heart Is as Jack Clayton. His remarkable list of credits have also seen him in Touching Evil, Murder in Mind and Hotel Babylon to name but a few. As a leading man in London’s West End, Ian’s stage credits include Billy Flynn in Chicago and Danny Zuko in Grease. Joining Ian is television’s PATRICK ROBINSON, whose impressive TV career has also spanned more than two decades. Patrick is best known for his role as staff nurse-turned-consultant Martin ‘Ash’ Ashford in BBC’s Casualty, a role which he first played from 1990 to 1996, before he returned for a guest appearance in a two-part special in 1998. He then reprised his role in 2013 for a year. PATRICK ROBINSON’s other TV work includes Midsomer Murders and The Bill, and, in 2013 Strictly Come Dancing where he got to the semi-finals. In 2003 he appeared in action film Belly of the Beast alongside Steven Seagal. 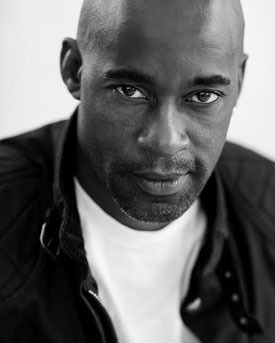 Patrick’s stage roles include the Royal Shakespeare Company’s Romeo and Juliet as their first ever black Romeo. Other stage credits include Dangerous Corner at London’s Garrick Theatre and Festen at the Almeida and the West End’s Lyric Theatre for Bill Kenwright, and War Horse at the New London Theatre. Presented by Bill Kenwright, this new production will be directed by award-winning Broadway director David Esbjornson, adapted by Owen O’Neill and Dave Johns, with design by Gary McCann and lighting by Chris Davey. Based on the 1982 novella Rita Hayworth and Shawshank Redemption by celebrated author STEPHEN KING, the play examines desperation, injustice, friendship and hope behind the claustrophobic bars of a maximum security facility. The 1994 feature film, regularly voted the number one all-time movie, starred Tim Robbins as Andy Dufresne and Morgan Freeman as Ellis ‘Red’ Redding and was nominated for seven Academy Awards including Best Picture, Best Adapted Screenplay and Best Actor for Freeman. Stephen King is one of the most popular authors of contemporary literature and has written 54 published novels which have sold more than 350 million copies around the world, many of which have been adapted into feature films. David Esbjornson is an award-winning international director and his work includes the Broadway debut and West End production of Driving Miss Daisy starring Vanessa Redgrave, James Earl Jones and Boyd Gaines, for which David received the What’s On Stage award for Best Revival. In 2005, he directed the West End premiere of Aaron Sorkin’s A Few Good Men, produced by Bill Kenwright and starring Rob Lowe.